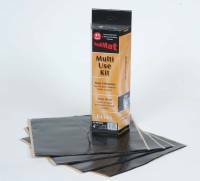 Hushmat produces specialized rubber insulation. This insulation not only insulates your vehicle from the heat of the road but also reduces unwanted vibration and noise. Check out the Recently Listed Sound Deadener Tools. 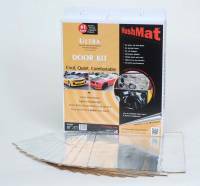 #1 Rated HushMat® provides incredible sound reduction and thermal insulation benefits from technology proven for over a quarter of a century in the automotive, heavy truck, home appliance, recreation and marine industries. Reduce noise and heat. Get the best performance every time with HushMat. Why HushMat? HushMat is the manufacturer ? we are not a ?marketer? 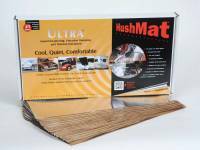 or ?manu-packager?- With HushMat you receive the highest quality & highest performing material available. Our competition purchases from multiple sources here and afar and packs whatever is available into their boxes. HushMat ? consistent quality means consistent performance! 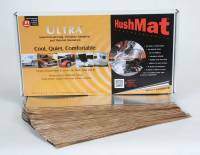 HushMat is the simplest material to install ? 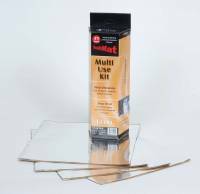 super flexible, easy to cut and requires no surface prep ? just peel & stick even in the harshest climates! 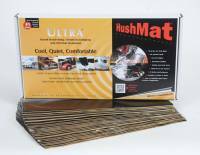 HushMat was introduced to automobile manufacturers in 1988, and was approved by General Motors and Chrysler for in vehicle production. 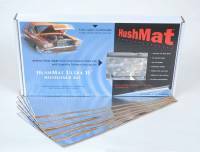 HushMat is the only company that manufacturers its own sound deadening and specified for use by every automobile manufacturer in the United States, Canada and Mexico. 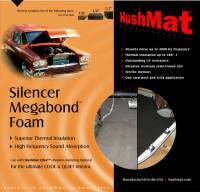 HushMat makes cars, trucks, boats, RV?s buses, appliances, HVAC equipment and home theater more Quiet and Comfortable. 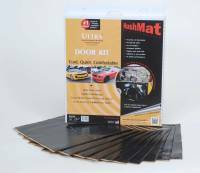 Choose from a wide range of Hushmat products including Ultra Kits, Silencer Megabond Kits, Quiet Tape Kits, Wave Breaker Kits, HushWall Kits, Hoodliner Kits.